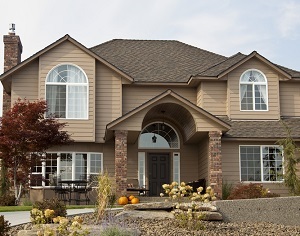 Why Should You Consider James Hardie Superior Siding? For one thing, you can expect unsurpassed and unmatched quality every single time. When you are in need of fiber cement siding in Kansas City for your exterior remodeling service needs, the only name that you need to know is James Hardie. This is how you can achieve the best in products at beyond reasonable pricing. As the leader in the industry for siding, they produce sidings that are engineered with state-of-the-art technology. They are so sure of this, they back the products with a warranty and a guarantee. You can feel confident and have peace of mind that you are getting the best of the best. The details really are in the finishing and this is what brings out the look of any home. This is one of the many reasons that James Hardie siding is preferred to vinyl siding. This is a way to offer optimal protection paired with stunning beauty and rugged elegance. You get functionality, durability, affordability and beauty all with a high rate of return on investment. What could possibly be better than that? James Hardie siding in Kansas City is a cut above the competition, way above. What surprises homeowners is that they can get this superior quality for greater savings than with the competition. This includes having a better capability for fire and wind resistance. Not to mention, it can withstand these elements and still hold its appearance. There are plenty of reasons why James Hardie is the obvious solution to your residing task but everyone can appreciate weather endurance. This is one of the most endearing qualities that ensures you have less maintenance and extended longevity. With James Hardie siding you are not only guaranteed excellence, you can feel confident about the finishing quality. The materials used are the best in the industry yet come in at less than the competition. Plus, you also get the best returns on your investment in the industry. Industry expert also promote the James Hardie name and products. This includes using it widely which helps the brand become widely regarded as the best there is. Affordability, durability, performance and longevity all means nothing short of perfection. If you are interested in an estimate for siding in Kansas City or the surrounding areas, please call 913-203-8812 or complete our online request form.